Hi everyone! 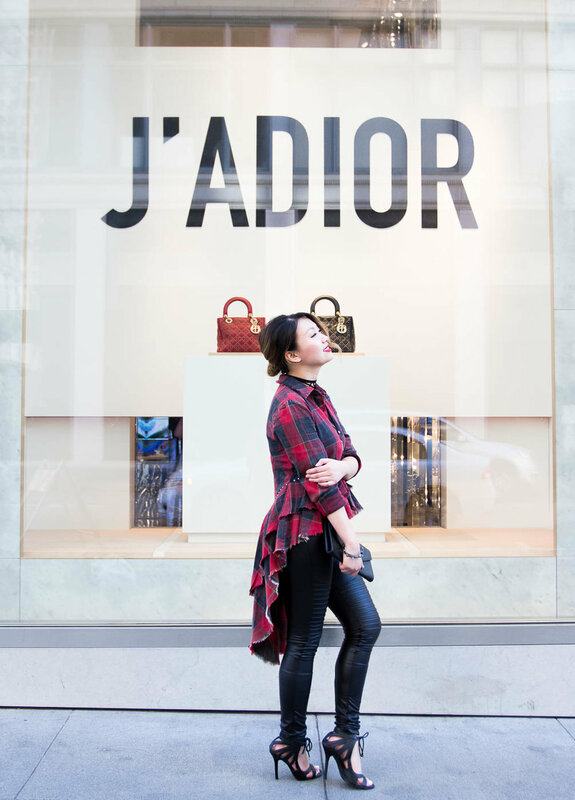 Sharing a couple more of my favorite fall trends on the blog today - plaid shirts and moto leggings. I shot this look with my talented food blogger friend, Sarah Park. I met Sarah in a Data Analytics class I took at General Assembly a few month ago, and we instantly connected and kept in touch ever since! 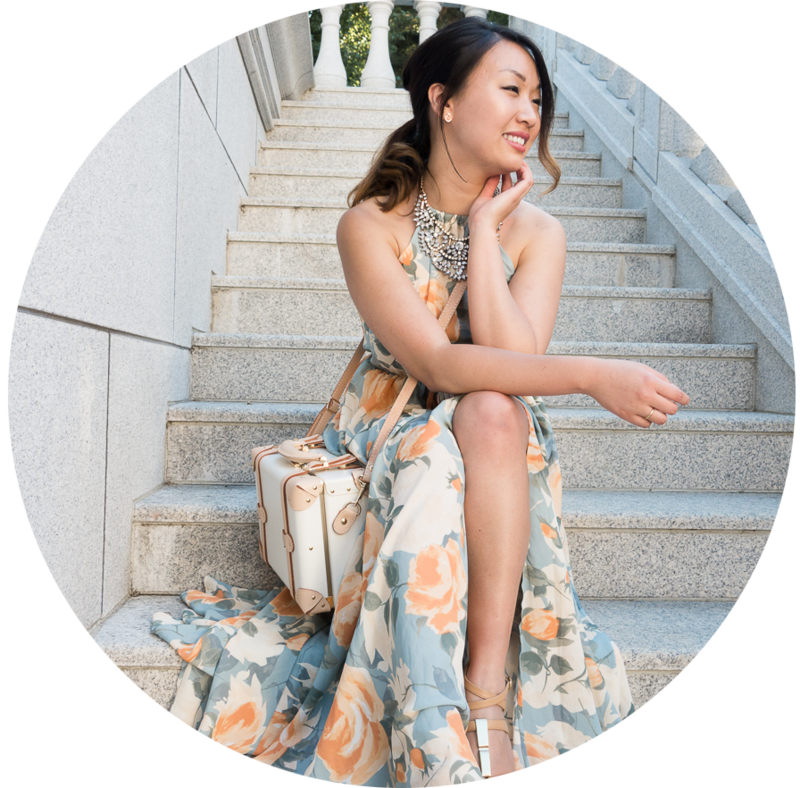 Check out her lifestyle blog, Cultural Chromatics, which she runs with her two friends, Nanette and My Linh. 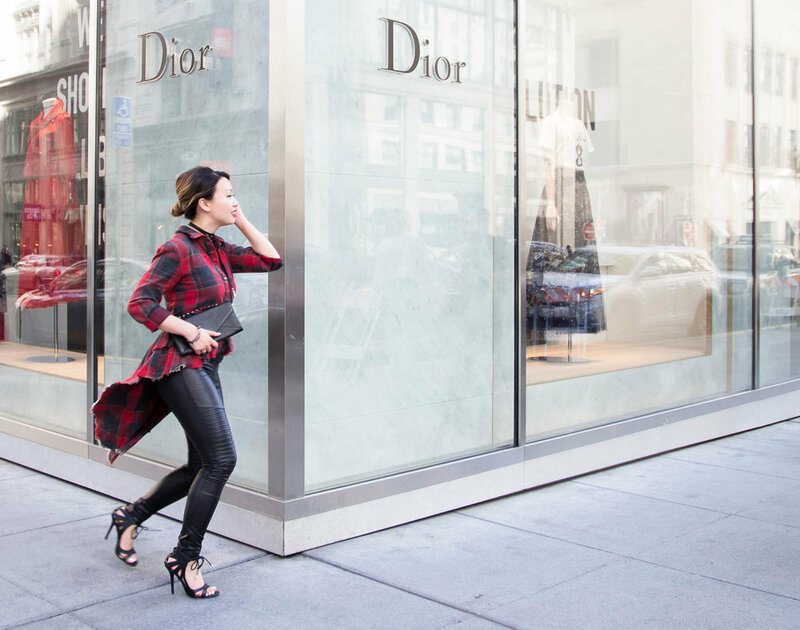 To compliment the red and black look, I wore this plaid high-low shirt with a Cuyana leather envelope clutch, an Express lariat black choker, ModCloth cutout heels, and moto faux leather leggings from the brand Plush. Hope you enjoyed today's outfit post, and have a wonderful weekend!